Woburn is a picturesque village just over an hours drive from central London. After you leave the M1, you are met with beautiful green countryside and flower-filled fields. 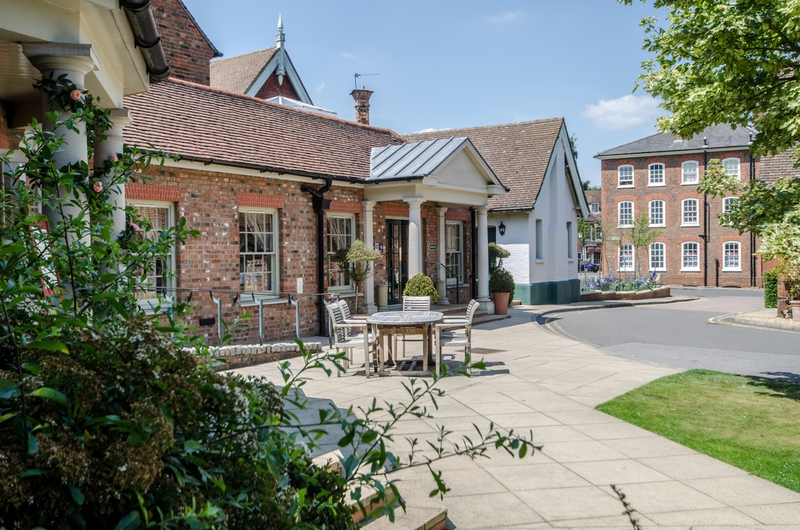 The village takes you away from the hustle and bustle of London, to a calming setting, perfect for pure relaxation. The Woburn Estate is the home of the 15th Duke of Bedford and the Woburn Hotel stands at the gateway of the Estate. The beautiful hotel has 55 bedrooms, including 7 cottage suites. Part of the Estate includes the Woburn Safari Park, which is one of the UK’s oldest highest parks. The bedrooms are spacious and decorated in relaxing country colours, almost mirroring the lush green surroundings of the village of Woburn. 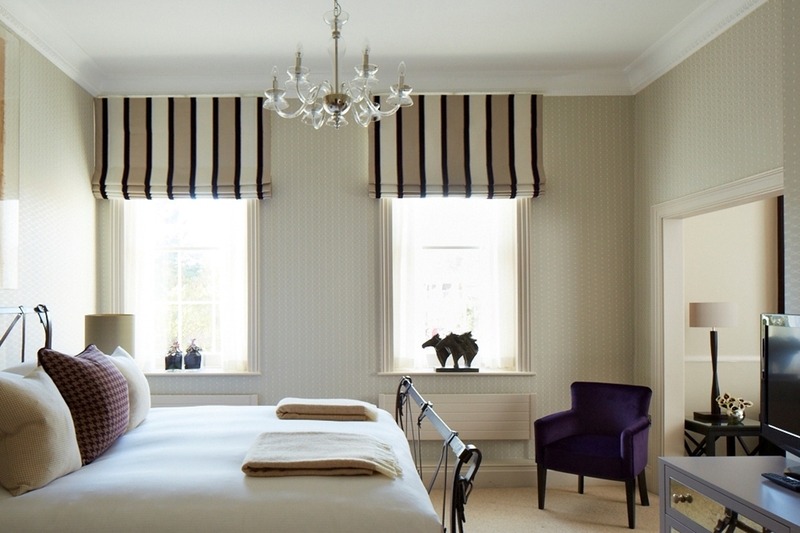 The beds are covered in Egyptian cotton and as soon as you sit down, you sink into the luscious duvet. The safari theme continues into the bedrooms, with photos of dears on the walls and even the baby bed had a cute fluffy giraffe sitting on it. The bedside lamps provide a warm glow and add a modern twist to otherwise classic room. The hotel is perfect for families, as they even think of the small things, like providing some nappies in the bathroom and the heated towel rail is high, to keep it safely away from little hands. Talking of the bathroom, the bath is inviting, the towels fluffy and there is ample supple of The White Company toiletries. Complimentary waters, welcome chocolates and plentiful teas are available in the room. All the amenities you may expect are available including a desk, with an excellent mirror perfect for make up, as well as a hairdryer. You can even hear the sweet sounds of birds chirping in the trees from inside your wonderful bedroom. Heading to dinner we were already excited, having checked out the menu before we arrived and we were not disappointed. The service was friendly and nothing short of excellence, the waiter was well versed on the menu and was more than happy to accommodate a young baby at the table. They had a great selection of wine on offer and a menu to suit all palates. The seats were decorated in a relaxing olive green and well matched with stunning wooden tables. Olivier’s restaurant is award winning and it is easy to see why, as all the food was cooked to perfection. Waking for breakfast after a lovely nights sleep in the comfortable beds, we headed to breakfast which was a well catered for buffet and enjoyed a leisurely breakfast. For those with children or an interest in animals, a must visit is the Woburn Safari Park. My little one drifted off to sleep as we drove round the Safari, but the excitement of the adults certainly made up for it. The range of animals is impressive and as an animal lover, it is a pleasure to see they are so well looked after and have so much space to enjoy. The lions were magnificent and the cheeky monkey’s enjoyed jumping on to the cars roof tops, so they also could have a little ride around the park. Woburn Hotel and Safari Park are perfect for the whole family, the service is excellent and the amenities outstanding. Enjoy a blissful and fun filled weekend at this luxurious and wonderful hotel.